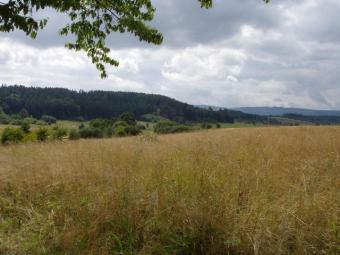 For sale very attractive land property with an area of ground 4,75 ha. The land is located in a picturesque location in Stary Wielislaw just 4 km from Polanica Zdroj - one of the most popular spa resort in Poland. The area is surrounded by hills and forests. Stary Wielislaw , in recent times, is very popular among investors. This is result of a small distance from Polanica, Klodzko and border of the Czech Republic. This property is ideal for housing development, residence, hotel, guest house, or spa. The local spatial development plan the property is zoned for housing, tourist services and arranged green areas. The offered lot is one whole, in the shape of a rectangle. The terrain is flat and is adjacent to an asphalt road leading from Klodzko to Polanica. This is a local illuminated road, with low traffic. Soon along the road will be built the bicycle path. The neighborhood is quiet, peaceful and pleasant. Part of the plot (1,57 ha) next to the above-described road has already been divided into building plots. Eight parcels of the area 1511-2185 m2 in two lines of development, create a functionally designed, small estate. This part of the property has an individual power connections, potable water pipeline is located in along the road. Planned is a gasification and sanitation of the village. Price of separate building plot is 90 EUR/m2. In addition, in the same village, on the opposite side of the road is also for sale agricultural land , with an area of 1.14 ha, for example, ideal area for horse riding.